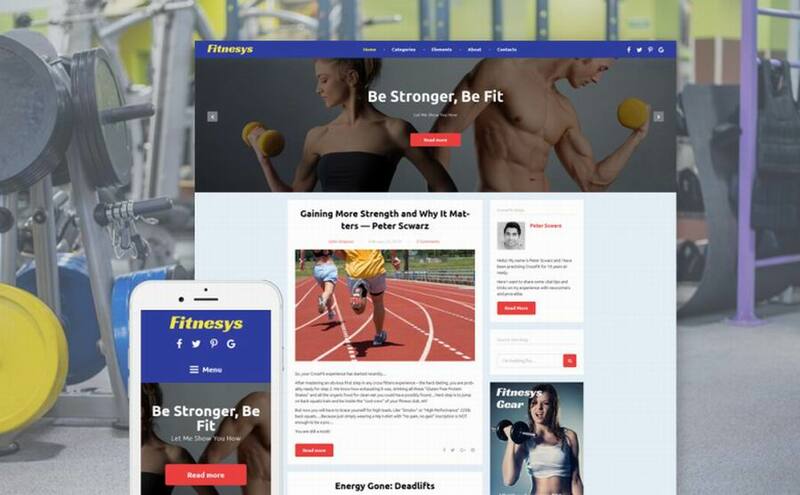 ​Having your own gym and sports blog is really neat because you get to share your knowledge with the world. Even better is having a blog that generates an income for you. Having your own gym and sports blog is really neat because you get to share your knowledge with the world. Even better is having a blog that generates an income for you. You may even have your own online gym and sports shop. Whatever the case may be, sports and gym related business tend to be difficult. These are businesses and fields of work that have a lot of competition. Such a high level of competition requires you to be better than everybody else. Well, a good way to get started is by using sports WordPress themes. These themes, all available at TemplateMonster, will help make your life much easier. WordPress sports themes are the exact tool that you need to get ahead of the competition. 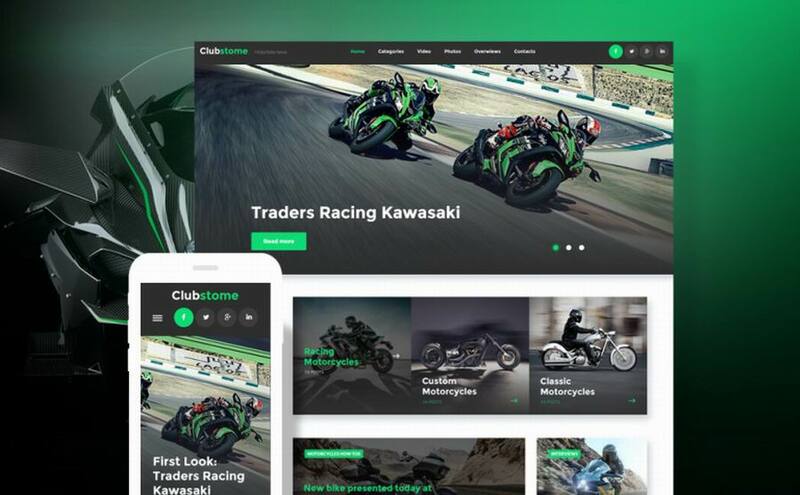 These themes and templates include everything you could possibly need to create a great website. Whether it is just a blog for the sake of reading and writing, or a sales oriented page, your life could be much easier. Stop wasting time and money designing a website from scratch. You could be utilizing these simple to use themes in order to save both time and money. Stop living in the past when the future of your website lies with these great WordPress themes. 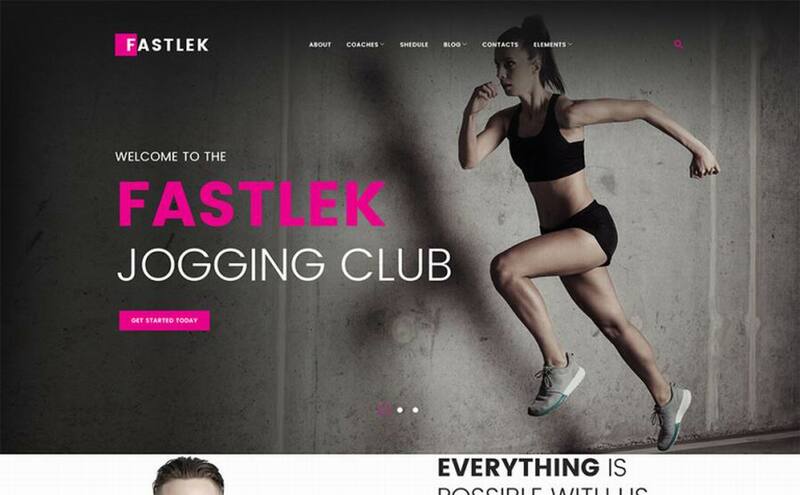 The Fastlek Running Club & Coaching WordPress Theme is a great option to go with. The streamlined installation process will let you install everything within 5 minutes or less. This is great because it will save you a whole lot of time. Something else that will help you save lots of time is the drag and drop page builder. This page builder is great because you can simply drag and drop images, words, and widgets into place. You can choose from multiple layout options and content modules too. There are many plugins like the timetable plugin so you can make a comprehensive schedule and more. If you run your own tennis club or are a tennis coach, you will love this theme. To get the word out there and get people talking about you, this theme features social media integration. This means that people will share the word over social media avenues. That is great for getting more customers. Just as good for getting more customers is the fact that this theme is SEO-friendly. Whenever people search for a tennis coach on a search engine, this theme will make sure you are at the top of the list. There is also the fact that this theme features an easy to customize building process. It also has tons of different options, a drag and drop page builder, and more. People who go yachting and voyaging are usually some high class folks. 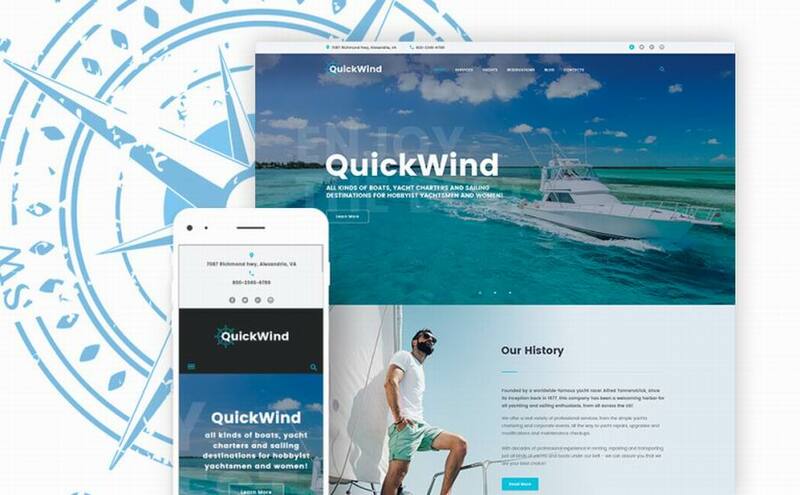 So, to attract the right crowd, you can use the Yachting & Voyage Charter Wordpress Theme. It will allow you to easily build the professional looking website that you need and your clients want. The drag and drop page builder feature could not be any easier to use. This is combined with the many different themes, layouts, images, and more that are available. Just utilize the page builder in order to make your page look exactly the way you want. Having social media integration, being SEO-friendly, and being fully-functional are all bonuses too. If you have your own horse riding club, you are definitely going to want to check out this theme. 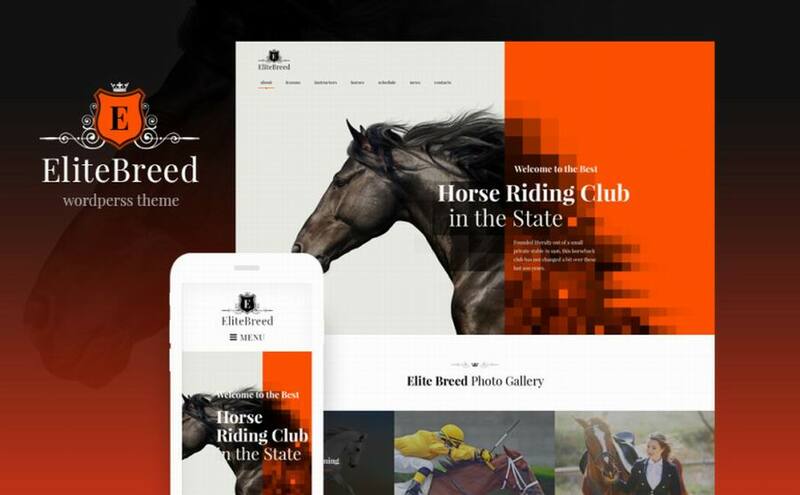 The Elite Breed Equestrian & Horse Riding Club WordPress Theme is the exact thing you need. This theme will let you make a professional looking page that will attract clients from far and wide. You can choose from a variety of pre-loaded images, layouts, fonts, and much more. Making the website of your dreams is about as easy as it gets with this theme. Also, things like the drag and drop page builder, plus being easy to customize, will help you save tons of time and money. If you want people to come to your cycling club, you will surely want to consider using this theme. 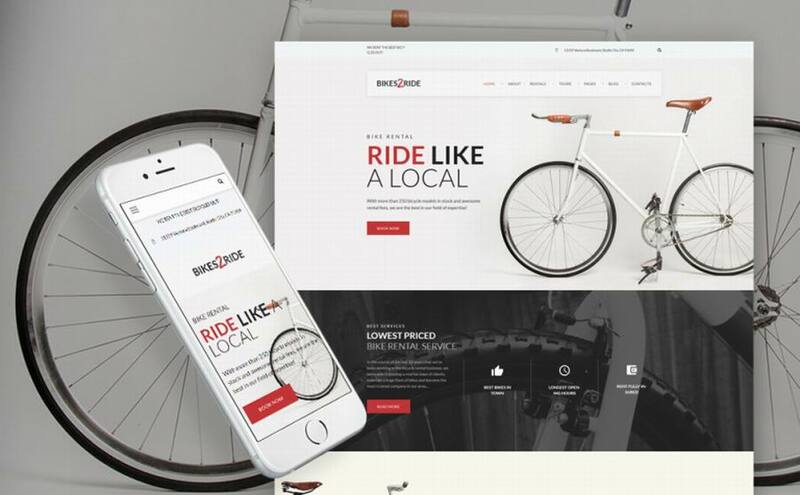 The Bikes2Ride Cycling WordPress Theme is the perfect way to find new clients. This theme is SEO-friendly, which means that you will always be at the top of the search results. This WordPress theme is also fully functional, meaning that it will work on any gadget and browser. Moreover, the Bikes2Ride theme is also integrated with social media to let people share the word. The main takeaway here is that this theme will help attract customers both new and old. There are so many features that you won’t know what to do with them all. Yoga studios are really fun places to go, but not everybody knows about your studio. 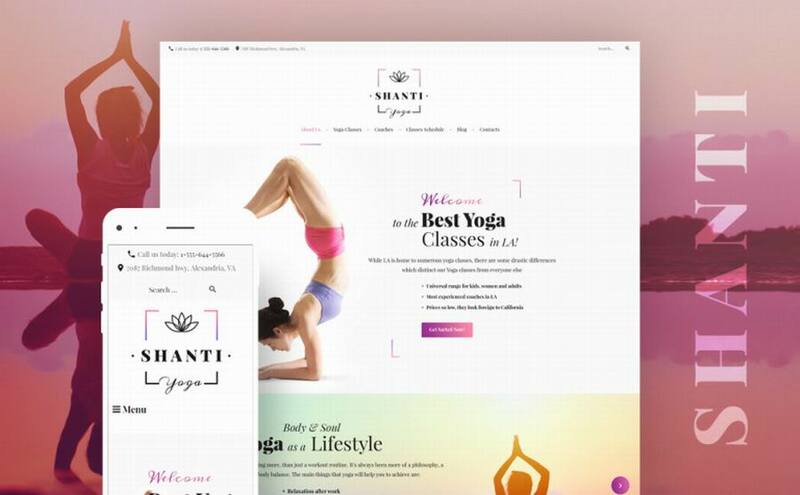 You need to spread the word about your yoga studio and the Shanti WordPress Theme is the way to do it. There are several features of this theme that will allow you to build clientele. Being SEO-friendly, featuring social media integration, and being fully functional will help everybody find out who you are. There is also the fact that this theme allows you to build a great site within a matter of minutes. You can choose from the multiple layouts and options to make your site. Plus, you can use the drag and drop page builder to put it all together in no time at all. When big muscles are involved, it always helps to have some awesome images. 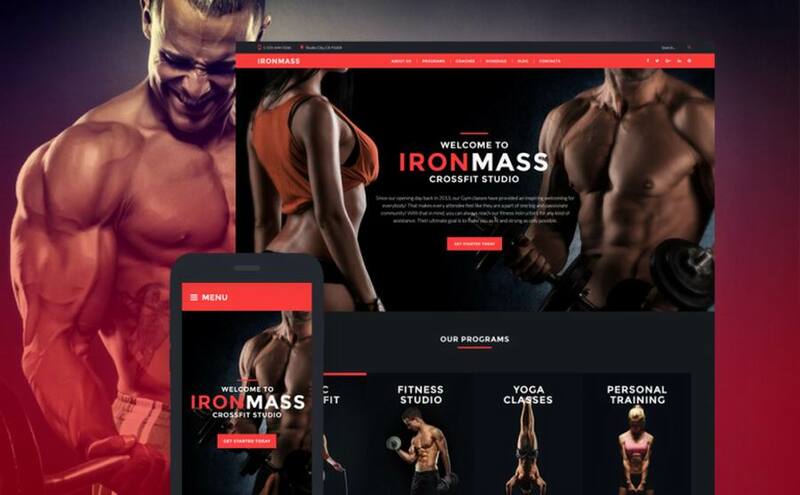 The IronMass Gym Fitness & BodyBuilding WordPress Theme has just that. It comes with a gallery of pre-loaded images for you to use. It also comes with many different fonts, layouts, and other graphics that will make your website stand out. This theme also comes with scheduling and calendar tools for the benefit of your customers. Moreover, you can choose from custom widgets to make your site just the way you want it to be. Thing like social media integration will help spread your brand name. Moreover, being SEO-friendly and fully functional will help people find your gym before anyone else. Something that you will love about this theme is that it comes with free 24/7 lifetime tech support. Problems can arise at any time when making your own website. The trick is to have a team of experts on your side. With this theme, whenever something goes wrong, just pick up the phone and call for help. 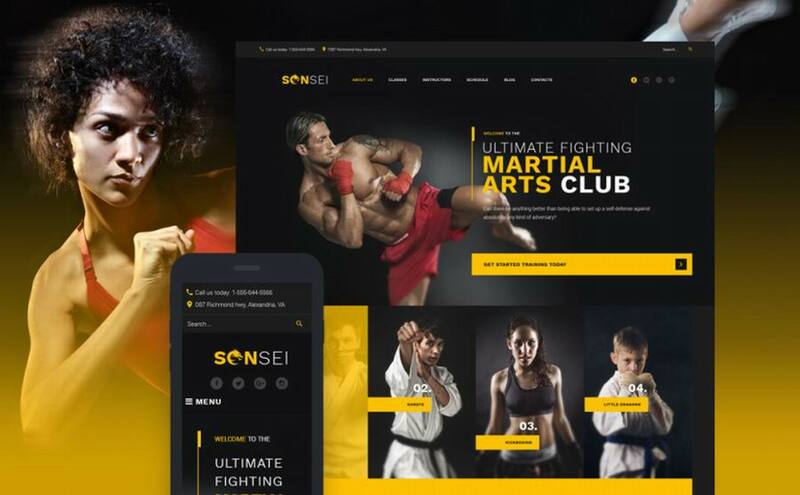 To get people to find your martial arts website, this theme is SEO-friendly. This means that your martial arts studio will always be at the top of the search results. So people can share the word about you, this theme also features social media integration. Whenever people go on their social media accounts, they will be able to see your site. 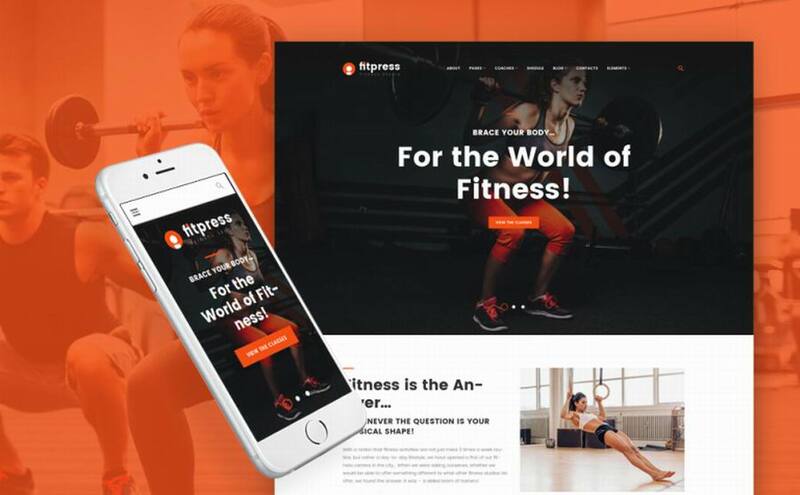 The Fitpress Fitness & Gym WordPress Theme is the perfect way to build your website. You can use multiple different functions to make your website within minutes. The drag and drop page builder will allow you to drag and drop anything to anywhere. Simply drag over whatever you want on your site and there it is. You will also like that this theme has a great package of cherry plugins included. They come included, they work well, and they will generate cash for you too. When using this theme, you can choose from multiple layout options, fonts, page designs, and much more. Something you will love about this theme is that it is fully functional and responsive. This is great because it means that this theme will work on any gadget and any browser. No longer will people get error messages when they try to load your website. Moreover, this theme is also SEO-friendly. This means that people will always find your website before anyone else’s. This theme is also integrated with social media to make getting new clients easier than ever. There is also the fact that this theme comes with free lifetime customer tech support. Whenever something goes wrong with your site, there will be a team of experts to lend a hand. 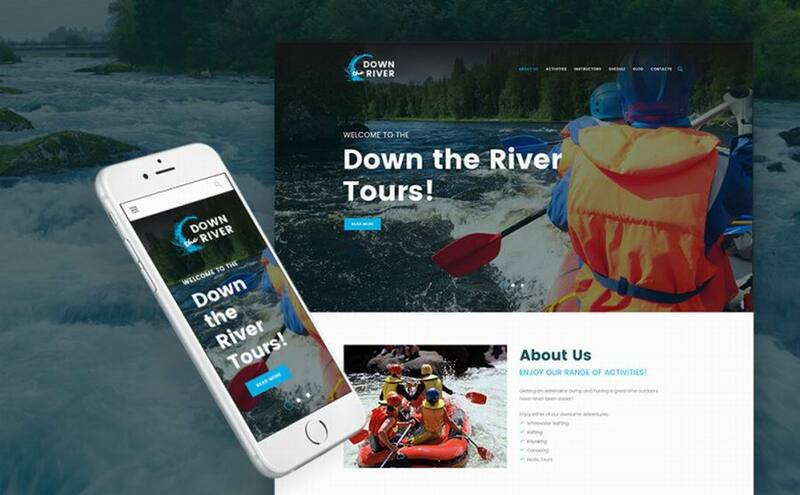 People love kayaking and rafting, but they need to find your business first. To get people reading your blogs and using your service, you need this theme. People will love your awesome looking website once you are done with it. The simple to use drag and drop page builder will allow you to create the website of your dreams in mere minutes. You can use this tool to drag images, text, widgets, and more to where they need to be. Featuring free 24/7 lifetime customer support is definitely an added bonus. Things like SEO-friendliness and social media integration will help further your cause even more. with tons of custom images, widgets, fonts, and more. All of these will let you build the website that you want. Moreover, you can use the drag and drop page builder to get everything done in a snap. You can literally drag and drop anything that you want right onto the page. You will appreciate the SEO-friendliness of this page as well. This theme makes sure that your website is always the first one found. There is also the fact that included social media integration will help spread your name across the internet. 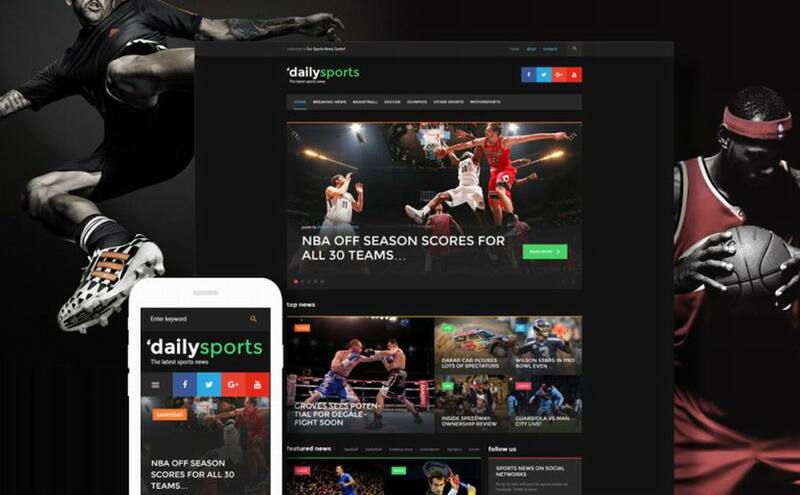 The Daily Sports WordPress Theme is exactly what you need to bring your sports magazine to the next level. It comes with many different preloaded images and graphics to make your site stand out. It also has many different layout options so you can arrange your site the way that works best for you. You will also like this theme because it has many different widgets, fonts, and other options to choose from. Being able to build your website in a matter of mere minutes is always a big bonus. With the drag and drop page builder you can stop wasting time and start making money. 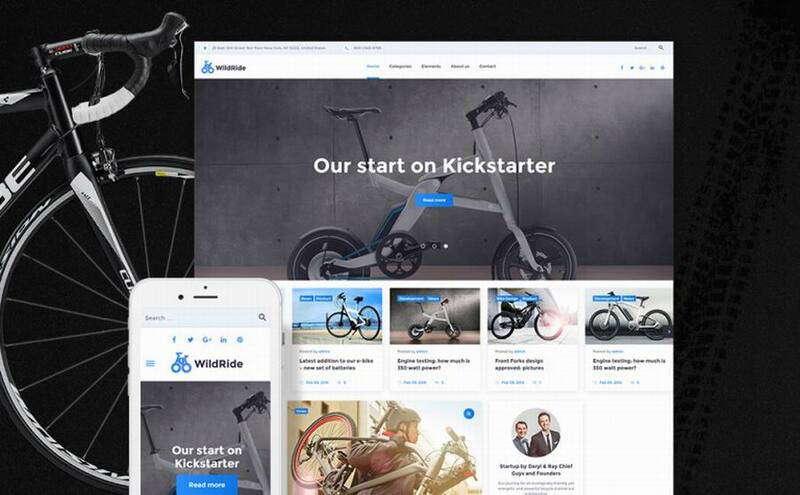 The WildRide Sports Bicycle WordPress Theme is just the thing you need to bring your website to the next level. The fact that it uses valid and well documented code is already an obvious bonus. Now, add the SEO-friendliness, social media integration, and full responsiveness of this theme. With all of these things combined, everybody will find your service or blog first, and it will attract new customers too. You will like the free 24/7 lifetime tech support which this theme comes with. If something goes wrong during your website design process, you can always call for assistance. You are going to love this theme for the live customize feature that it comes with. This allows you to build your website in real time. You can make changes to your site and people will be able to see them right away. This is combined with the drag and drop page builder. You will be able to drag images or anything else onto your page and people will see it as soon as you do. In case you have any issues, you can always call tech support. The free 24/7 lifetime tech support is definitely a feature that people love. Being SEO-friendly and fully responsive are just added bonuses you get with this theme. The bottom line is that WordPress sport blog themes can help you build the website of your dreams. There is no point in wasting your time and money when you don’t have to. 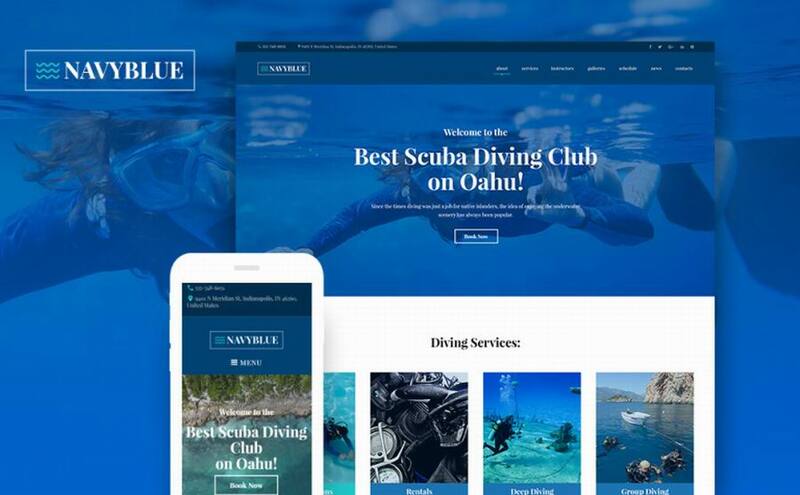 These themes, available at TemplateMonster, will help you build an awesome website in no time at all. Simply download the theme that you want and get to work. Don’t worry though, because you won’t have to work too hard with these themes in your arsenal. Being SEO-friendly, having social media integration, and being fully responsive are all things these things come with. All of those features will help people find your website before anyone else’s. There is also the fact that those features will help build brand awareness too. 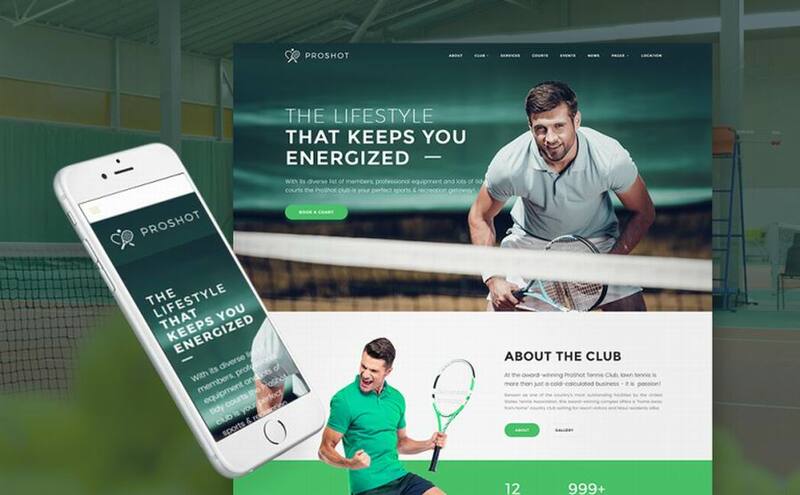 Sport WordPress templates are the perfect solution to all of your website building problems. These themes make it as easy as can be. Things like tons of images, custom widgets, and live page builders are all awesome features you get with these themes. With these themes, you have literally everything you need to build the perfect website. Stop dealing with the little stuff when you need to be focusing on the big stuff. Check out these themes today because you will definitely not regret doing so.